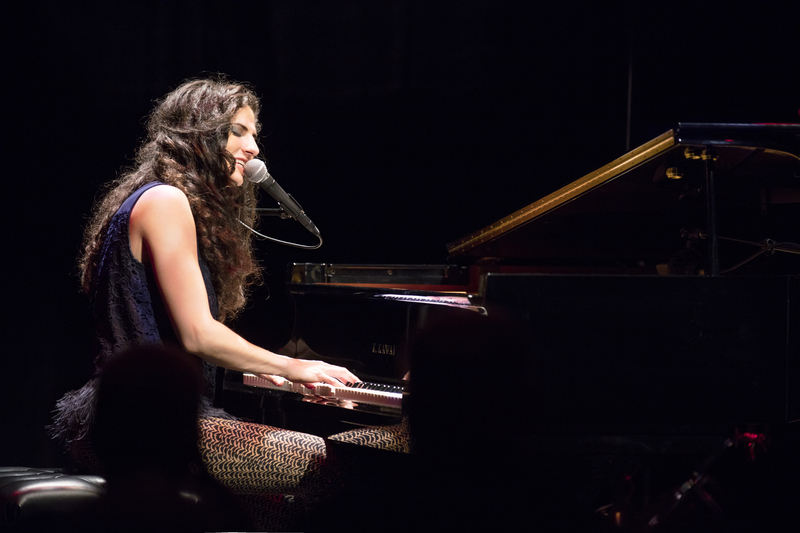 Laila Biali has won awards (SOCAN Composer of the Year and Keyboardist of the Year at Canada’s National Jazz Awards) and played the world’s most prestigious venues (North Sea Jazz Festival, Tokyo’s Cotton Club, Carnegie Hall). She’s toured with GRAMMY award winners (Chris Botti, Paula Cole, Suzanne Vega) and recorded with an international icon (Sting). In short: She’s established herself as one of Canadian jazz’s brightest young stars. Her new album is catchy, sophisticated, and unlike anything currently on the radio, it’s pop music, but not the kind that can be neatly tagged by an algorithm. Melodies take thrilling left turns and pre-choruses give way to instrumental interludes. One minute Biali is soaring over a bluesy storm of handclaps and hard-charging keyboard riffs (“Got to Love”), the next she is pouring out her soul on an impassioned, slow-burning plea for empathy (“Refugee.”) It’s pop music, but the experimental, distinctly human variety popularized by Regina Spektor, Rachael Yamagata, and Sara Bareilles. Laila will be joined for the evening with Brandon Robertson on bass and drummer/percussionist, Rick Costa.